The next UN climate convention meeting (COP17) takes place in Durban, South Africa, from 28th November – 9th December, 2011. 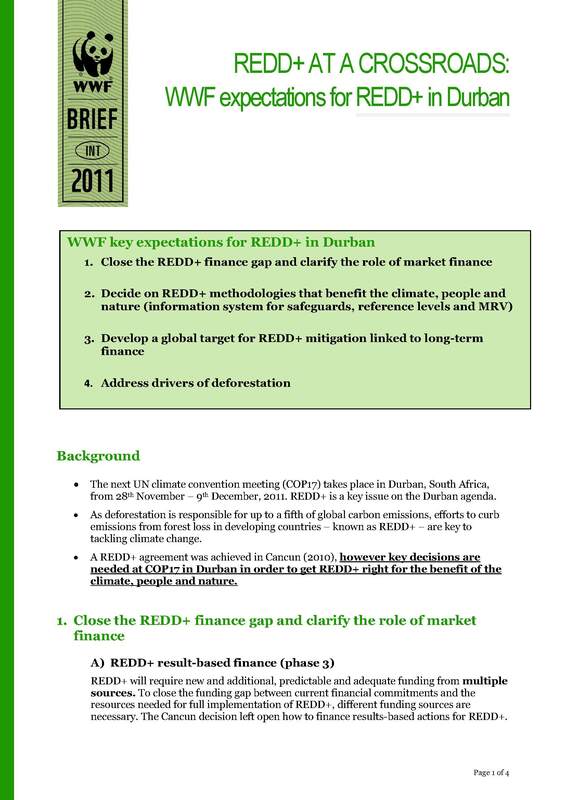 REDD+ is a key issue on the Durban agenda. As deforestation is responsible for up to a fifth of global carbon emissions, efforts to curb emissions from forest loss in developing countries – known as REDD+ – are key to tackling climate change. Key decisions are needed at COP17 in Durban in order to get REDD+ right for the benefit of the climate, people and nature.